In an increasingly competitive ready-to-wear market,Mode-ste has dived right in, redefining what fashionable, affordable and versatile clothing means. Mode-ste focuses on creating clothing that lays fashion at its frontier and establishes modesty as a framework for the brand. “The design aesthetic encompasses an oversized, voluminous fit for clients that are looking for something modest, yet fashion forward.” Explains Bilal Mashhedi, head of marketing and strategy. This project began as a seed 3 years ago that was planted by Aicha and her mother Hong. Designing, tailoring, altering; this small women’s clothier started in the basement of their own home. Little did they know that one day Aicha and her newlywed husband, Bilal would in fact take the business to the next level. Today, Aicha and Bilal have embarked on various business expositions, the most dynamic being their pitch on Dragons’ Den, with their show airing on Wednesday, November 23rd, 2016 at 8 p.m. (8:30 NT) on CBC Television. Aside from a thriving E-commerce business, Mode-ste has established an elegant design studio nestled in Montreal. The space encompasses an office, a creation lab to perfect designs, an in house mini boutique for ladies who want to pick up their order in Montreal and readily available stock. It’s a beautifully put together 3 in 1 boutique. We got a chance to chat with the team about their success and steps leading up to it. Here’s a recap of our enlightening conversation. The Link Canada: What pushed you and Aicha to take the next step to further expand and even take it to Dragons’ Den? Bilal Mashhedi: I was working as anEnvironmental Engineer with a promising position and career at SNC-Lavalin, one of the top engineering design firms in the world. We had moved to Edmonton from Montreal for the job. I was also offered a position in Toronto but I rejected that. In fact, about a year ago I quit my job, to take the business on full=time. Why? Looking at our business, month after month I realized that it was real. We were making real sales and making real connections with real people who really loved our clothes. We started thinking about different platforms and how to get the word out, that’s when Dragons Den came up. It didn’t cost us any money to apply and you just have to make sure you have the right tools and go for it. 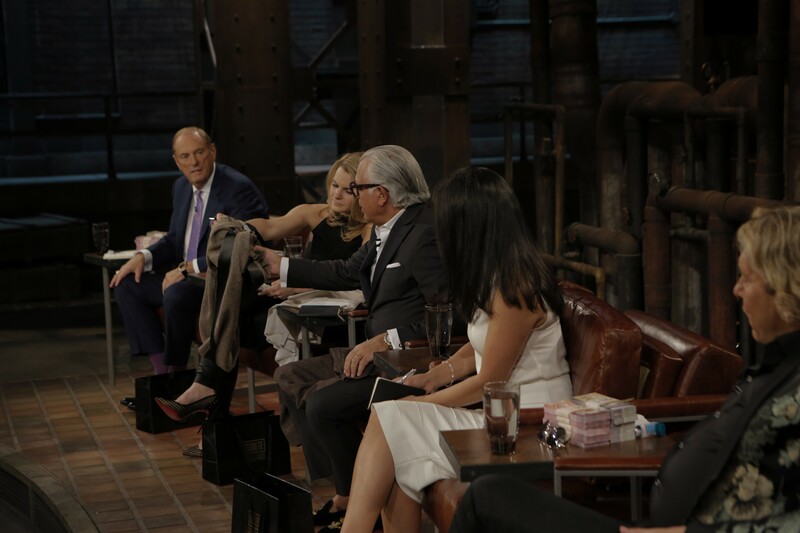 The Link Canada: What was the experience like when you pitched to Dragons’ Den? Bilal Mashhedi: Alhumdulilah, I can easily say that it was one of the best experiences of our lives. The dragons were very nice, very accommodating. Before going in front of the dragons, you have a chance to practice and prepare. The producers were super interested and accommodating towards us as well. Once we got in front of them on the show, there were 2 seconds of nervousness, it’s like giving an oral presentation in high school but once you get into the zone you are good to go. There were probably 8 different small businesses that day, out of all of them, the Dragons called Aicha and I to the side to ask us about our dynamic and how it is that we work together. They were really just into our relationship, our family company and how it’s expanding and growing. We also did a collaborative collection with social media style icon Saufeeya Goodson to align with her full feature in Teen Vogue. She actually came on Dragons Den with us as one of the models and a brand ambassador. Working with creative individuals creates a win-win situation for both collaborators, their respective ventures and creative fulfillment. Daniel Agha (Director of Finance and Operations): One of the things about Dragons’ Den is that when you watch it at home it is actually a 15-20 min snippet of the actual back and forth negotiations, the amount of time we spent with the dragons was closer to an hour or an hour and a half. It can get fairly intensive. I had just finished my finals, the day after we did some pitches to practice and before we knew it we were right there in front of the dragons. It was Bilal, Aicha, her mom and I there. Aicha’s mom was one of the models, it was very interesting. As someone who had to go over the numbers and pitch it to them, it was much more intense than different presentations you may do. You are in front of people who can at a moment’s notice write a cheque for millions of dollars, it adds a lot of pressure but it makes you want to maximize the opportunity and work your best. I remember, when they asked us to walk down the walk way to the Dragons, it was quite a nerve-racking experience because I kid you not, there was a pin drop silence. There are a dozen cameras and it is extremely quiet and you must break the silence by introducing yourself to these multi-millionaires. Most of it is unscripted, the introduction is practiced and then right after that it is a free fall and you will have questions come left and right. You have to be coordinate with your team to see who will speak next; it really requires a good team dynamic. The Link Canada: What did your team begin as and what has your team dynamic turned into? 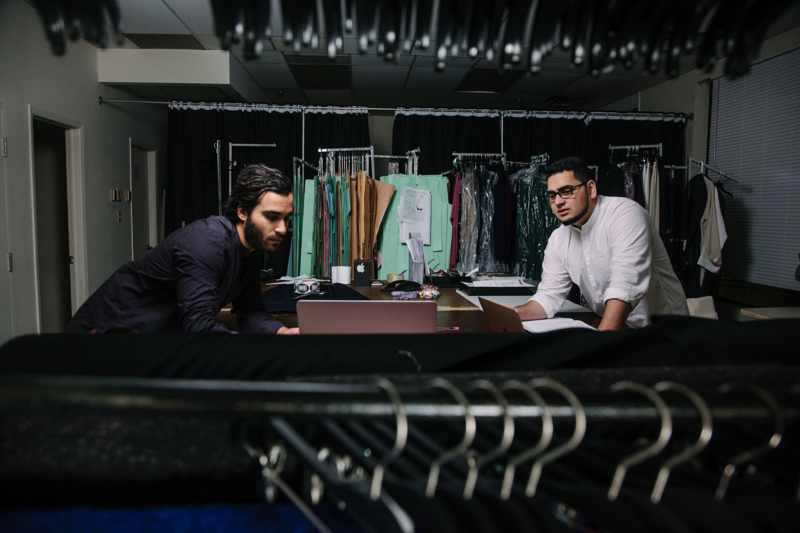 Bilal Mashhedi: Aicha and I were both born in Montreal, so both of us have a Western identity when it comes to fashion and clothing. Aicha would always go to the trendier higher end boutiques always finding really nice things. Unfortunately, she would end up compromising finding skirts with slits on the sides or transparent fabric, and obviously she wouldn’t feel comfortable wearing those things. She’d buy them and bring them to her mother who has 30 years of experience in sewing and tailoring, she’s a master seamstress. Aicha finally got sick of this and she said, “everything that is nice, I have to compromise on one thing or another and put in extra work.” On the flip side if she found things that were in line with modest standards she couldn’t really find things that were up to date in a fashion context in the Western world. So either she’d have to find something that was high end and put in extra effort or she would find things that were modest but they weren’t really part of her identity or upto her standards for the kind of style she was trying to project. It was about 3 years ago that the business really started. Aicha and her mother Hong went at it a day at a time, by selling their clothes out of their basement. From then onwards, I started helping part-time with family members helping here and there. Aicha would travel between Montreal and Edmonton to work on this project. At one point in Edmonton she had a job, a client care position, but she realized she couldn’t keep taking time off and decided to quit her job which allowed her to work in Montreal for extended periods of time. And eventually it got more serious and that is when I decided to go all in as well about a year ago. At the main core, we have various team members such as sewers and cutters. For myself, I focus on marketing and branding. My wife is the visionary when it comes to design and the aesthetic. My mother in law she’s focused mostly on quality assurance and the manufacturing end. While Aicha and I together focus on the creative direction of our brand. Then there’s Daniel, our finance and operations director, who can speak for himself. Daniel Agha: The business itself has been around for a while. At this stage, maybe 6 months ago, they needed someone to actually take care of the business side of it, to help it grow in an efficient way, to give the business some body and structure. They had various interviews with some MBA candidates, one was with someone from Ernst & Young, one of the big four accounting firms. So they were going out to see who would really fit the position. I’m Bilal’s cousin so he approached me for advice on what to look for in an ideal candidate to expand their business. Bilal Mashhedi: Daniel never throws himself in front of things, instead he will just be there for if you need help. He will be there to help. He came with us to Dragons’ Den to help us pitch the numbers. Originally we didn’t ask Bilal because we didn’t want to put Daniel through that ultimatum of having to put aside his masters, but when we saw him do so well in Dragons’ Den we asked why not join us? Daniel Agha: I was actually in the middle of doing my masters in financial economics and at that point Bilal asked why not add you to the team? After Dragons Den pitch I consulted them a bit longer and here I am now financial director for Mode-ste. The Link Canada:Did you end up finishing your masters? Daniel Agha: Masters is put on the back burner for now, it’s currently all hands on deck with the business as you can imagine with Dragons Den coming up at that time, it was quite a bit of work. 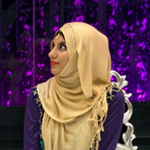 The Link Canada:What was it like being the first Muslim business to go on Dragons’ Den? Bilal Mashhedi: We didn’t really think of it like that. We’re very confident with our brand and what we do and what we provide in this niche. We feel it’s a newer niche and it is like unearthing rights with second or third generation Canadians. It felt very natural to us. Daniel Agha: The topic of catering to Muslims did come up during the pitch and we realized when you’re in this environment and dealing with these people at such a high level, the idea, the numbers and the business speaks for itself. The fact that we’re Muslim is kind of put on the back burner. The Link Canada:What is the purpose behind the brand Mode-ste? Bilal Mashhedi: Our vision is rooted in two main ideas. Number one we’re an all-encompassing brand in a sense that we’re inclusive so you know it’s not only for Muslims, we don’t brand ourselves as a “Muslim” brand or an Islamic brand, we make clothing that any woman could look at and first and foremost its fashion forward and very relevant. The root and its core will be that no one has to think twice like “oh does this cover me properly” or something like that. So the idea is that if you’re fashionable you can wear this clothing. If you need something a bit more modest you can wear this clothing, so it’s not really particular to any specific demographic. It’s for every woman and we want to project more of an inclusive vibe. 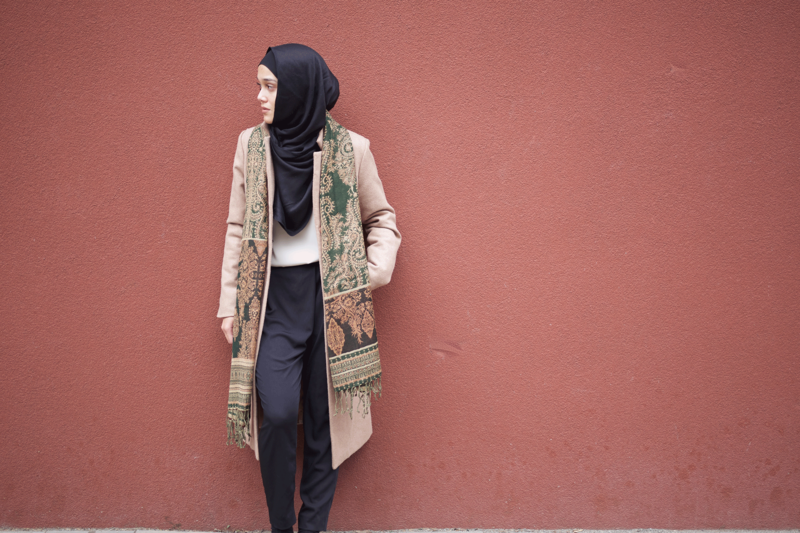 Aicha follows fashion trends with a modest unique twist! There is also the affordability aspect, when Aicha would find specific high end picks, the prices would be astronomical like a dress for $400 or $500. We’re not a brand that focuses on price but at the same time we’re more accessible and again we want to be inclusive to everyone, that is on a aesthetic and on a price point as well. The second thing would be quality clothing, Aicha and I were very tired of buying clothes that look nice today but after being washed a few times shrink in half and becomes disheveled after a few times of wearing it. 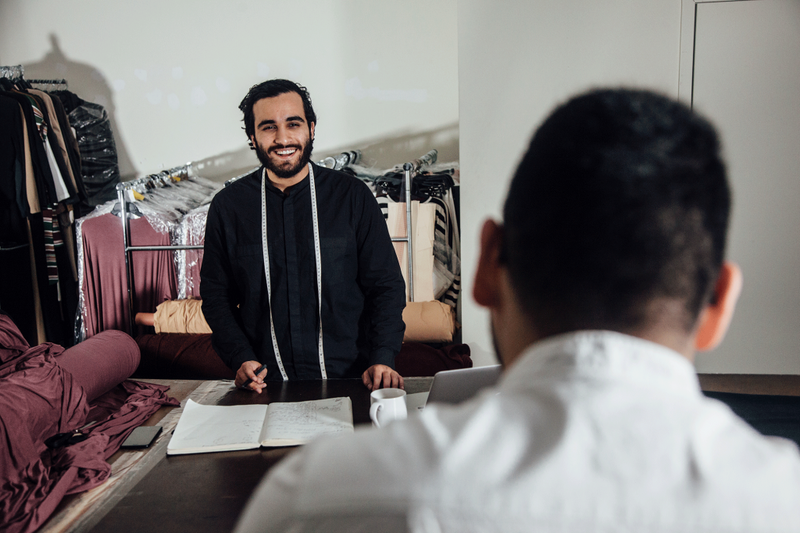 With contractors throughout Canada we focus on quality which is shown through the fact that we’re committed to making Canadian made garments, they’re all made here in Montreal. The Link Canada:The name of Mode-ste, is there a story behind it? Bilal Mashhedi: The branding behind Mode-ste, is spelt in French to give a shout out to our home town Montreal. In the logo we have a dash to separate “Mode” which would be fashion in French so Mode-ste is the bigger picture, with fashion being the front of mind, the first thing we think of and modesty being the bigger picture. The Link Canada:How do you and sister Aicha balance a married life? Bilal Mashhedi: Alhumdulilah, one, it’s the blessing of Allah swt. It’s funny though, we work together the entire day and then when we get home, Aicha and I would both be like “okay what do we do want to do now?” Then we’ll pitch idea, like watching basketball and it’s like “weren’t we just together the whole day?” So Alhumdulilah, we just laugh it off and take it as a good sign that even though we work together the whole day we’re still down to hang out and chill post work. One, It’s a blessing from Allah swt and two we get along and three it’s a passion project, so not only is it a full out business but it is also ultimately our passion. It’s something we love to do. The Link Canada:If you could go back in time and give yourself one tip for the business that you did not know before entering this project, what would that tip be? Daniel Agha: It would probably be to hire a business manager before any real work. I’m just kidding! Honestly, because when you’re dealing with a business there can be some growing pains and difficulties, so just having proper structure and a proper team from the start to cover the entire basis. We’re now just getting a full team. It is super important to really just take it seriously from the beginning. You want to hit the ground running and be prepared as opposed to a slower growth. My favorite moment was when we got our office, this was a huge step! Once we got the office, it was like this is it. The close second would be when I officially put in a request to put my masters on hold, it was an all-in step for me. I’m sort of a risk-aversion type of person so it was a big step. Bilal Mashhedi: For me it is not about what I would have done but rather a constant reminder I’d give myself which is to be very thankful for the moment. A few years ago selling a couple clothes out of the basement to a few ladies coming over turned into us going onto Dragons Den, working with Saufeeya, working with one of the top Photography and Videography studios in Montreal “Metro Creative”. Getting flown out to Malaysia for an opening with one of our newest partners this august, you know having our full out studio and design studio established, all these things. Alhumdulilah we have been blessed with a lot and it’s something to enjoy and be grateful for. We have a full established team and the accomplishment of doing so much with a small team is my favorite moment. We’re all happy working with each other and are really looking to grow together with such a great team dynamic. I think one of the most exciting moments as a team was getting the call that we’d be on Dragons’ Den, it was both solidifying and inspiring to us.